You know a café setting is an informal restaurant serving drinks, snacks, and often light meals. 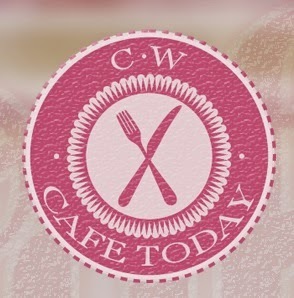 Inside CW’s Café you find that an informal atmosphere where I will share my recipes, cooking / pantry tips, dining etiquette, health corner. I am a Type II diabetic and I have managed my diabetes for about 20 years. I lost my father, mother, and 1 sister to disease. I am always looking for recipes and cooking tips to help me step towards a healthier lifestyle. It has not been an easy road for me, I have not always been the "Good Diabetic" but I will say that I am better informed then my parents; because they did not have the information available to properly take care of themselves . So my objective and challenge is to continue to test recipes that will allow me to build and keep flavors without compromising my health and well-being. I love cooking with fresh ingredients. I like taking family recipes and remaking them for a healthier lifestyle. I consider myself as a "Neo-Soul" cook, this means to me cooking from the soul a fusion/melting pot of flavors and cuisines : Asian ( I love Thai favors the best), Italian, Mexican, Jamaican, and down home Soul Food dishes. I come from a family of very good cooks. My grandmother, mother, aunts and uncles who have come before me who practiced and perfected there love for cooking, I offer my gratitude for showing me the true love of preparing meals that nourish the soul as well as the stomach. I love cooking with various wines to enhance flavors of my dishes and also pairing them with certain meals. My interest in wine collecting came about 8 years ago when my daughter went to work for a wine distributor in California. She received a monthly wine allowance and we had to learn how to store them, how to read the labels and understand the regions where the wine was made and what went well with them ( I love this !!! ).